Indianapolis Sinus Center is a comprehensive Ear Nose & Throat facility using state-of-the-art technology to provide you with exceptional diagnosis and care. We specialize in office-based procedures that are more cost-effective, have fewer risks, offer quick recovery times and give you excellent results. Indianapolis Sinus Center is certified as a Center of Excellence by Entellus Medical Company. Dr. Sanders is a true hoosier. He is originally from Indiana and attended Indiana State University as an undergraduate. He graduated from Indiana University School of Medicine and completed his internship in general surgery at Methodist Hospital in Indianapolis under Ronald C. Hamaker. In 1990, Dr. Sanders joined the practice of Southern Indiana ENT, LLC, and became part owner of Columbus Specialty Surgery Center. He also joined the medical staff of Schneck Medical Center in 1990. 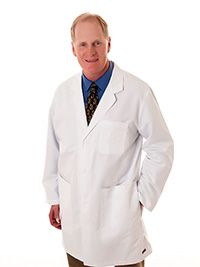 He now can offer you Ear Nose & Throat care in Indianapolis. Dr. Sanders successfully completed his residency in otolaryngology, head and neck surgery, facial plastics, and reconstructive surgery at Northwestern University. Dr. Sanders is a fellow of the American Academy of Otolaryngologic Allergy and is Board Certified by the American Board of Otolaryngology. Dr. Sanders' practice includes general ENT care and surgery, pediatric ENT care, allergy diagnosis and treatment, sleep disorder diagnosis and treatment, and the innovative in-office balloon sinus dilation procedure. 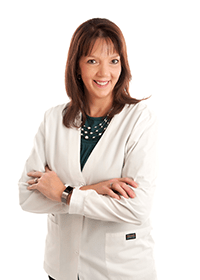 Dr. Hollenkamp graduated from Miami University in Oxford, Ohio and then graduated from Indiana University School of Medicine. He completed his internship in General Surgery at Methodist Hospital before going to Indiana University Medical Center, where he completed his residency in Otolaryngology-Head and Neck Surgery. We are pleased to have him as a member of the practice of Indianapolis Sinus Center. 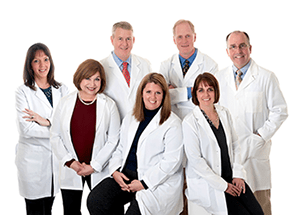 Dr. Hollenkamp's practice includes general ENT care and surgery, pediatric ENT care, allergy diagnosis and treatment, sleep disorder diagnosis and treatment, and the innovative in-office balloon sinus dilation procedure. 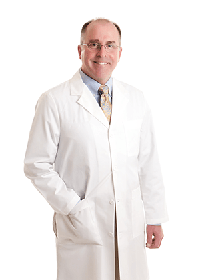 Dr. William Solik brings 33 years of experience to our ENT specialty practice. 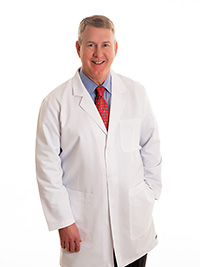 He graduated from Indiana University School of Medicine in 1985 and then completed his residency in Emergency Medicine at Clarian Methodist Hospital of Indianapolis. He holds an Indiana State Medical License. Dr. Solik joined Southern Indiana ENT in 2017 after serving over 25 years in full-time emergency medicine at Bartholomew County Hospital/Columbus Regional Hospital, and then 4 years in urgent care medicine. He is a Fellow of the American College of Emergency Physicians (FACEP) and Board Certified by the American Board of Emergency Medicine. We are pleased to welcome him as a member of the team at Indianapolis Sinus Center to provide care for our sinus patients. Give us a call! We love answering questions.